The Horizon Christian Hawks have been absolute road warriors in the Class 3A baseball state playoffs, winning three straight postseason contests on the road. Now, Horizon Christian gets to take its road show to Keizer, where it gets a chance to play for the second baseball state championship in school history. 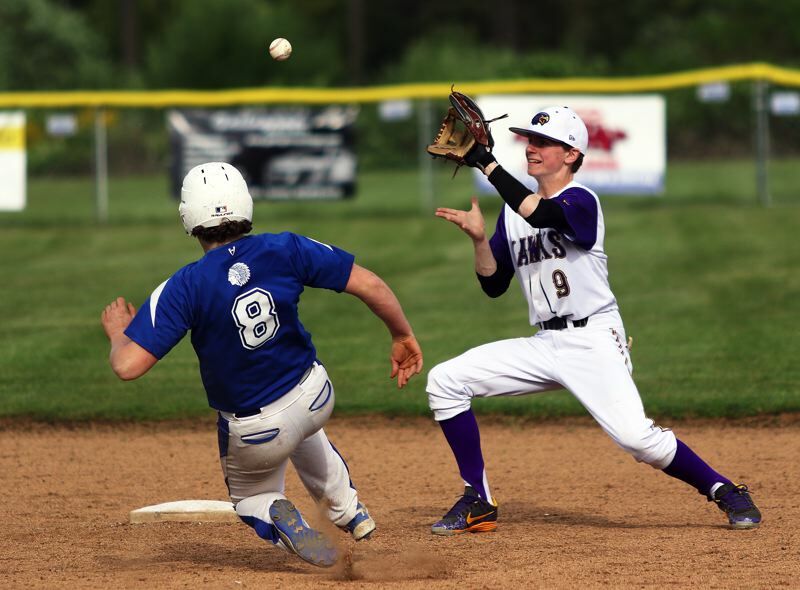 The Hawks earned a spot in the title tilt by scoring a 5-1 win over West Valley League foe Santiam Christian in a Class 3A state playoff semifinal game played Tuesday at Santiam Christian High School. Horizon Christian, which won the Class 3A state title in 2011, will be making its third championship-game appearance, and first since 2013, when it faces La Pine on Friday, in a game starting at 1:30 p.m., at Volcanoes Stadium in Keizer. Horizon Christian, the No. 3 team out of the West Valley League, and the No. 10 seed for the Class 3A state playoffs, brings an overall record of 20-7 in the Friday's championship game. La Pine, the No. 2 team out of the Mountain Valley Conference, and the No. 4 seed for the playoffs, is 23-4 on the season. Sophomore Sam Romero pitched the Hawks to the victory over Santiam Christian (20-9) in Tuesday's state semifinal contest. Romero, in a complete-game performance, gave up one run on two hits, while striking out six and walking three. Horizon Christian, getting RBI singles from senior Brannon Macfarlane and junior Luke Klein, scored a pair of runs in the top of the third inning to break a scoreless tie. The Hawks added another run in the top of the fourth, when junior Cole Armstrong scored on a grounder by sophomore Cade Tillema, upping their lead to 3-0. Horizon Christian then struck for two more runs in the top of the fifth inning, with both sophomore Greyson Pihas and Macfarlane scoring on a double by Armstrong, making the score 5-0. Santiam Christian got its sole run in the bottom of the seventh. For the game, Klein went 2 for 3 at the plate with a run scored and an RBI. Armstrong doubled, scored a run and drove in two. Pihas, Macfarlane and Romero added one hit apiece. Prior to the win at Santiam Christian, Horizon Christian posted a 13-12, 11-inning win over Stanfield/Echo in a quarterfinal game held Friday at Stanfield High School. The Hawks got what turned out to be the winning run in the top of the 11th inning, when senior Nathan Brucker scored on a sacrifice fly by senior Nathan Murrell. Macfarlane went 3 for 3 at the plate in that game, with three walks, two runs scored and two RBIs. Klein went 2 for 6 with a run scored. Romero went 2 for 7 with two runs scored and an RBI. Brucker went 2 for 4 with three walks and two runs scored. Murrell and junior Anthony Petit each drove in three runs. Pihas scored twice. Horizon Christian opened the playoffs on May 23 with a 17-5 win at Rainier. La Pine won 8-6 at top-seeded Taft on Tuesday to earn its spot in the Class 3A state championship game.